Bob Sattin of North Carolina makes small but great sounding SUTs. 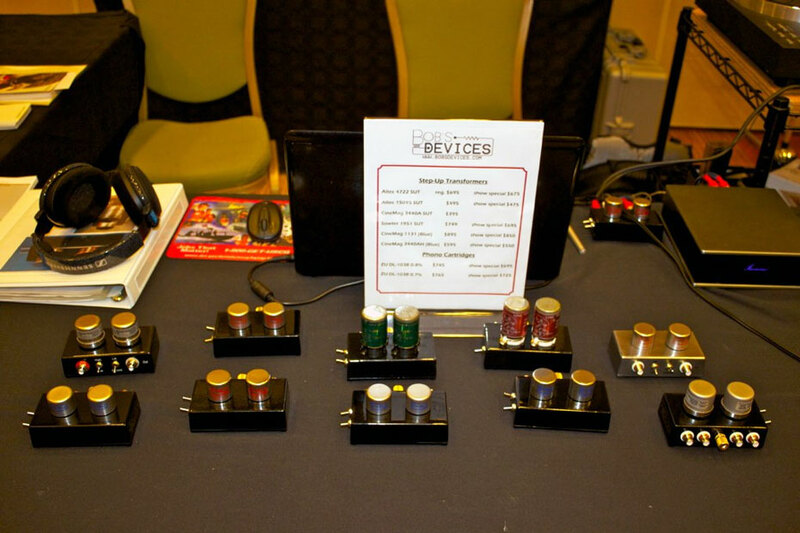 He uses Altec, CineMag, and Sowter transformers to make these wonderful little SUTs for your moving coil cartridges. These little speakers are really little and it defies my understand how big they sound. They don’t just sound big they sound very musical, and very dynamic. 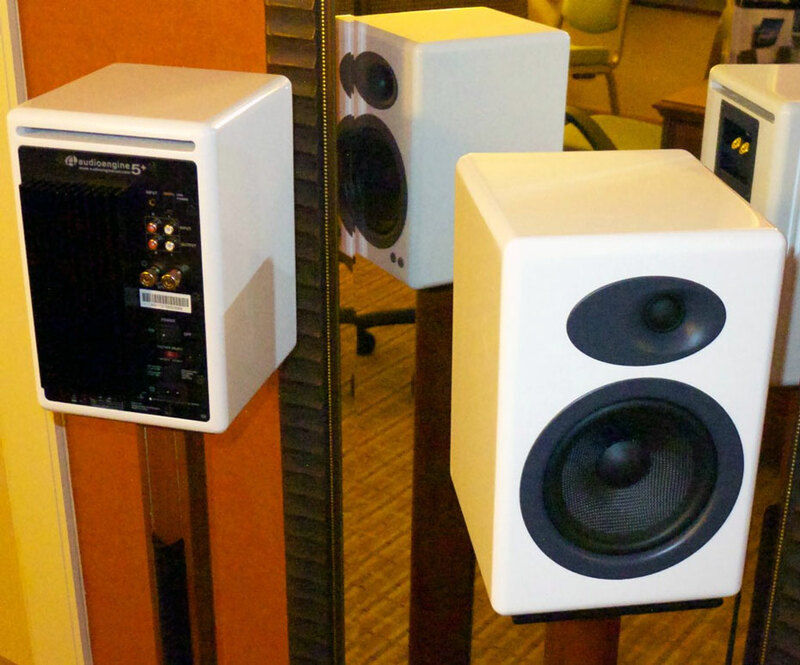 These little Magico speakers sounded even better than they did at the California Audio Show. 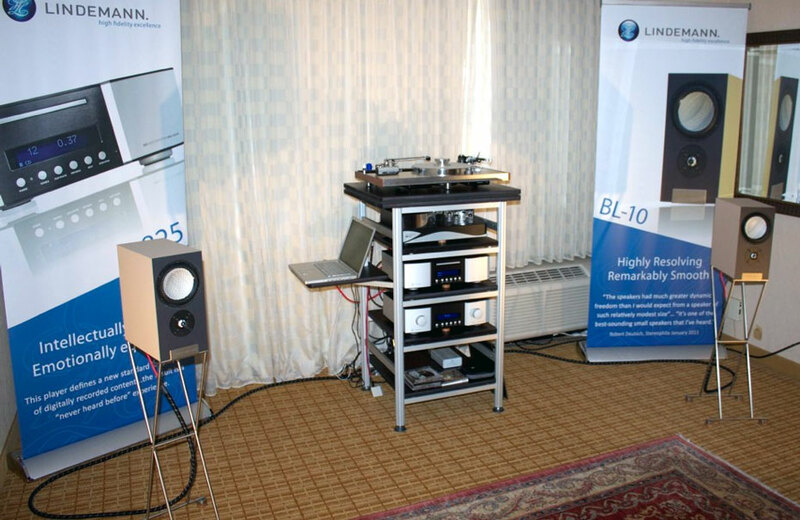 I still say they sound better than any Magico’s I have heard at any audio show. These little speakers are just so good looking. They are so reminiscent of a old 1930 tube, table Radio. Oh, by the way they sound good too. 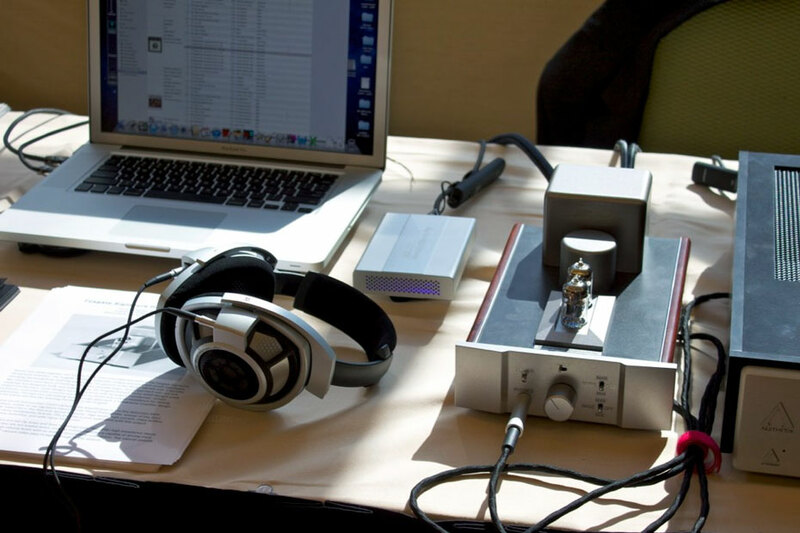 Musical Surroundings was playing the wonderful little Fosgate’s Signature headphone amplifier and it sounded mighty good. Audioengine’s new model 5+ continues the companies heritage for great sounding small active speaker that come ready to play digital devices. 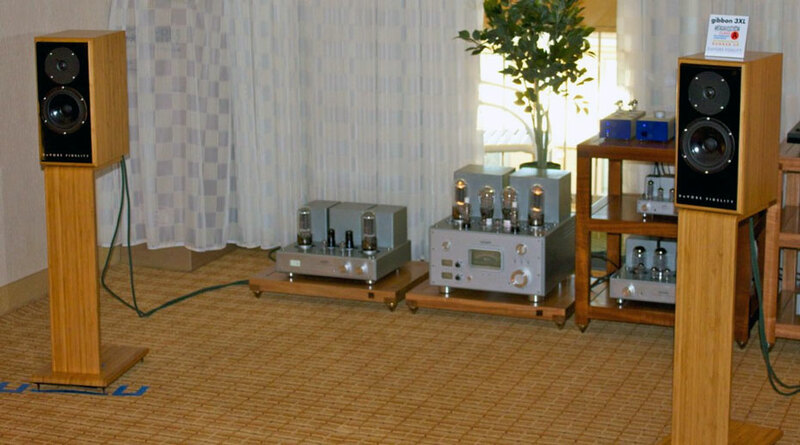 They also had a nice new wireless DAC. 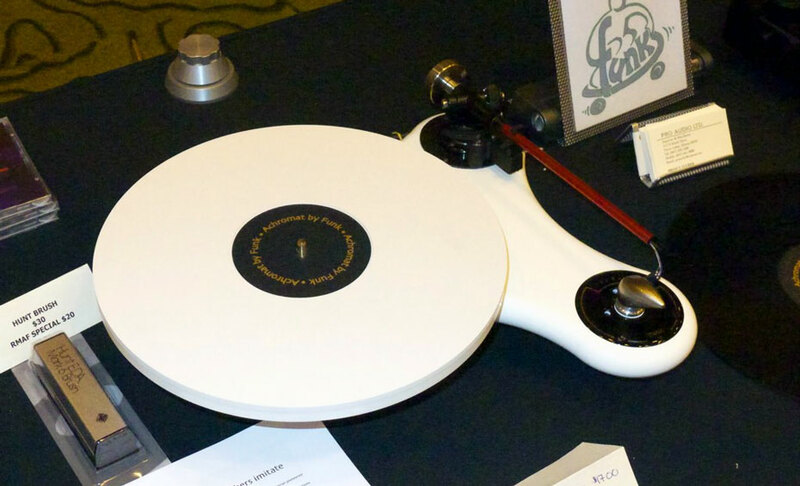 Funk Firm’s cute little turntable, this one doesn’t have a cartridge but I thought the white one was really nice looking. The same little turntable in clear lucite was sounding nice. Soundsmith’s Monarch and Dragonfly speakers are small but really good sounding. I always wonder why they don’t get more press. They sure sound like they should. 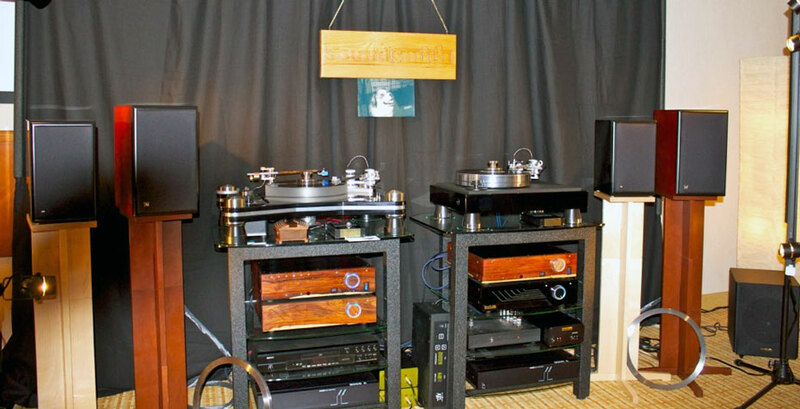 The first time I dropped by the DeVore Fidelity room they were playing their wonderful little gibbon 3XL speakers. 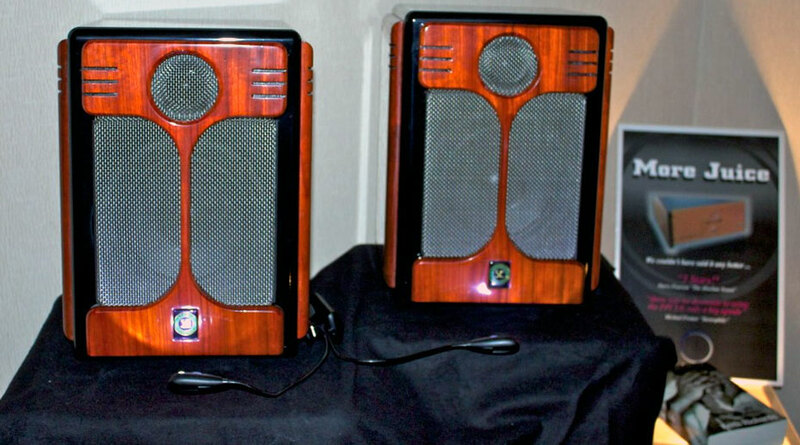 These are serous speakers, not just serious little speakers. 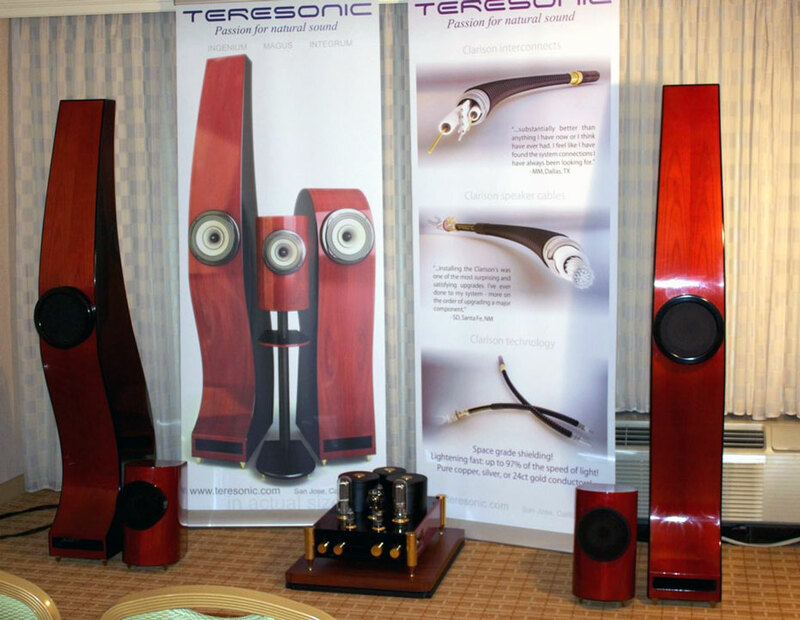 Teresonic’s little Magus speakers sounded amazing. Many listeners were shocked to hear they weren’t listen to the big Ingeniums.